We were recently asked to review a children's music CD by 'Jerry & Co', and after reading the information they sent through, the girls and I couldn't wait to get started. 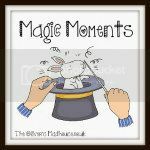 If you have children, I'm sure you will agree that there are so many nursery rhymes around, and if your children are like mine, they love to sing them and dance along. Ruby is 5 now and is starting to go off nursery rhymes, preferring to listen to music instead. 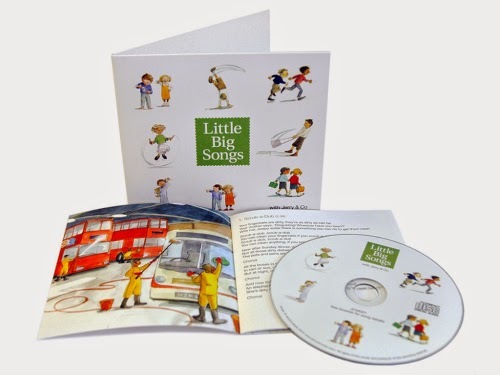 This CD is entitled 'Little Big Songs' and bridges the gap between nursery rhymes and more grown up music. There are 11 original songs featured on the CD, each telling a story about an every day situation, there are songs about topics such as moving home and even picking your Christmas tree! The CD comes with a lovely booklet containing beautifully drawn images to complement each song, as well as a full set of lyrics to help you sing along. I decided to put the CD on whilst driving Ruby to school, and it was an instant hit. Ruby loved the catchy tunes and lyrics, and within a couple of days was singing along to the songs. Ruby's favourite songs are "in the family", a catchy song that sings about all the different dynamics in a family, and "what's the time Mr wolf", which is about a daily routine and what happens at each time every day, for example breakfast, going to school, playtime etc. Lottie, not wanting to be left out, loves the 'ladybird song', and when Ruby has been dropped off at school, Lottie can be heard shouting "ladybird, ladybird....!". She may not be able to sing along to the entire song yet, but she likes to give it a go! I think it's very easy to say that this CD has been a massive hit in our house and it is constantly being played in the car; I even found myself singing along to the CD when there were no children in the car, the songs are just so catchy! At 32mins 20secs long and recorded with a full band and singers, Little Big Songs is a bargain at only £8.50, I would highly recommend that anyone with young children go and check it out. Disclaimer: This CD was given to us to review for free, however all thoughts and opinions are our own.